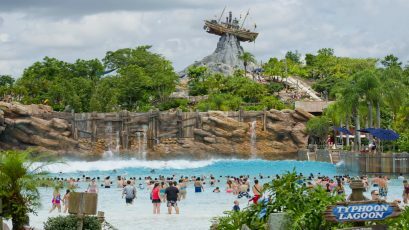 Disney's Typhoon Lagoon is a water theme park located at the Walt Disney World Resort in Lake Buena Vista Florida and is one of two operating water parks at the resort. 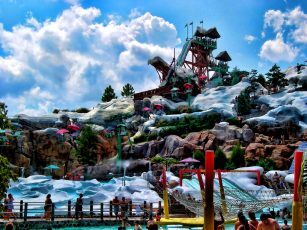 Disney's Blizzard Beach is a water theme park located at the Walt Disney World Resort in Bay Lake Florida. All water areas are heated with the exception of the melting snow in the ice cave of Cross Country Creek. Discovery Cove is a one-of-a kind experience where you can swim with bottlenose dolphins feed tropical birds play inches from a family of otters and even walk on the ocean floor - all in one day.Discovery Cove is a theme park owned and operated by SeaWorld Parks & Entertainment a subsidiary of Blackstone Group and located in Orlando Florida. Encounter exotic animals and exciting adventures at Disneys Animal Kingdom park one of the largest animal theme parks in the world. 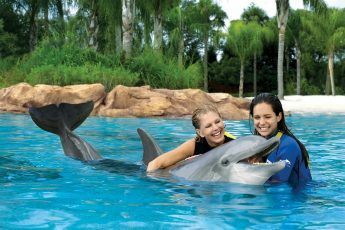 Home to more than 1 700 animals across 250 species the park reflects Walt Disneys dedication to conservation and is committed to animal care education and research. 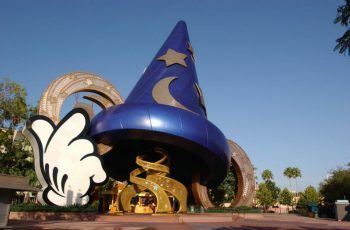 Movie magic comes to life at Disneys Hollywood Studios awash in the glitz and glamour of Hollywoods Golden Age. 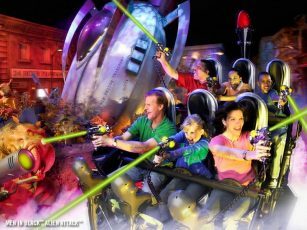 Step into the action with attractions based on blockbuster movies and top TV shows and delight in exciting entertainment that puts you center stage. 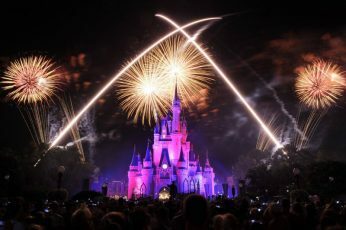 Fairytale dreams come true for children of all ages at Magic Kingdom park. 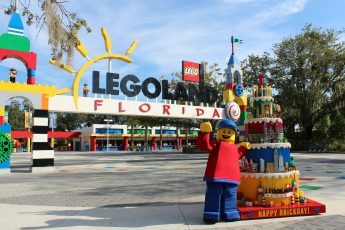 Delight in classic attractions enchanting fireworks musical parades and beloved Disney Characters across 6 whimsical lands. 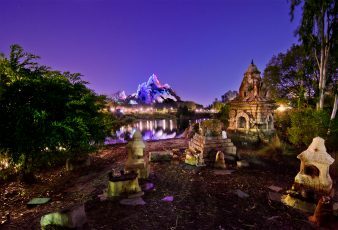 See fantasy become a reality as you explore Adventureland- Frontierland- Liberty Square- Fantasyland. 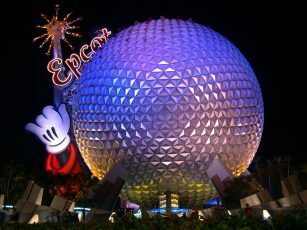 Explore exciting attractions- enchanting international pavilions- award-winning fireworks and seasonal special events.Epcot is the second of four theme parks built at Walt Disney World in Bay Lake Florida near the city of Orlando. 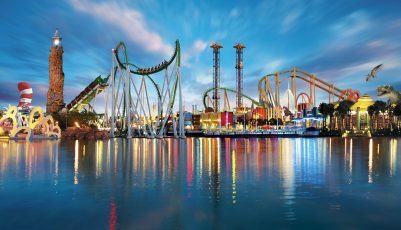 Take an unforgettable journey through the uniquely themed islands of Universals Islands of Adventure where the world's most cutting edge rides shows and interactive attractions bring your favorite stories- myths- cartoons- comic book heroes and children's tales to life. 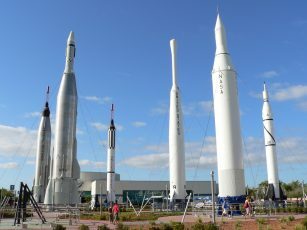 The John F. Kennedy Space Center (KSC) is the NASA facility supporting Launch Complex 39 (LC-39) originally built for the Saturn V- the largest and most powerful operational launch vehicle in history for the Apollo manned Moon landing program proposed by President John F.Kennedy. 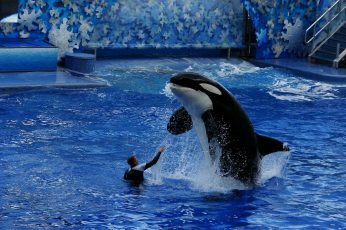 SeaWorld's Orlando Florida theme park offers roller coasters- rides- shows- tours- attractions & family-friendly activities for thrill seekers and animal lovers.SeaWorld Orlando is a theme park and marine-life based zoological park in Orlando Florida. Go behind the scenes beyond the screen and jump right into the action of your favorite movies at Universal Studios the world's premier movie and TV based theme park.At this real working film and TV production facility you'll find an amazing array of rides- shows- movie sets and attractions that put you right in the picture.